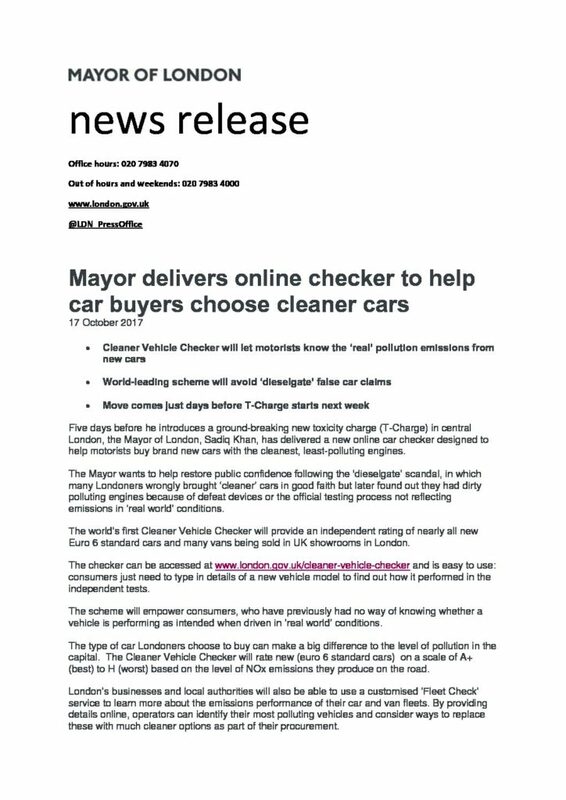 On 29 March 2017, London Mayor Sadiq Khan announced that he would be introducing a system based on the EQUA Index data, to allow motorists to choose the least polluting vehicles. Read the full account by Daily Mail motoring correspondent Ray Massey. Industy experts have raised the prospect of fleets paying higher emissions-based tax bills following the introduction of the Worldwide Harmonized Light Vehicles Test Procedure (WLTP), which will replace the existing New European Driving Cycle (NEDC) test in September 2017 and is expected to inflate official vehicle CO2 figures due to its stricter rules. Vehicle testing firm Emissions Analytics says diesels can be clean and govenments are highly unlikely to give up the fuel just yet. To find out how the press have been reporting the latest EQUA Index powered by Emissions Analytics click on the links below. Volkswagen might have agreed to one of the largest ever corporate settlements to tackle the emissions scandal, but industry insiders are now questioning whether that’s enough. One of Belgium’s national TV networks is claiming that Opel is secretly performing upgrades on some of its diesel-powered vehicles, to reduce harmful emissions. Read more.